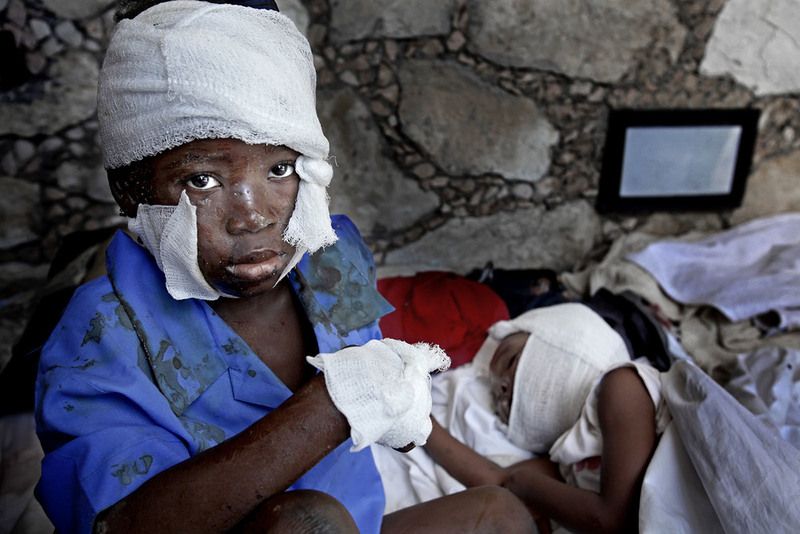 The earthquake in Haiti in January 2010 killed over 200,000 people. One of many camps for residents who's houses were destroyed in the earthquake. Looking for food and scrap metals at the dump just outside Port-au-Prince. Several months after the earthquake there were an large outbreak of cholera. Fabienne worked as a ballet dancer but lost her leg in the earthquake.